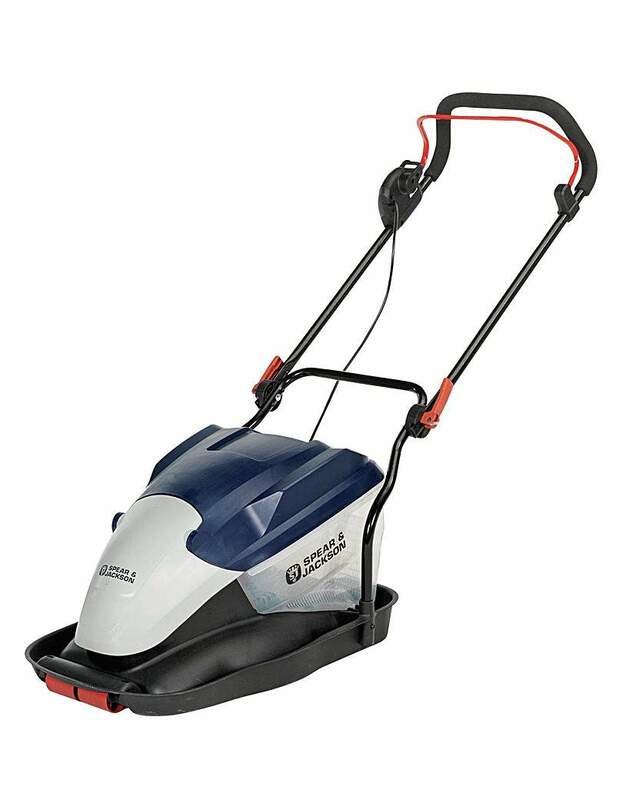 This 1700W lawnmower has a 40cm steel blade and excellent grass collection technology for great cutting and collection performance, ideal for large and extra large lawns. The comb on the side of the mower brushes grass into the blades to ensure you can cut right up to the edge of your lawn, reducing the amount of trimming required. Easy cut height adjustment: quickly change the cutting height to suit your lawn with the central cut height adjustment. 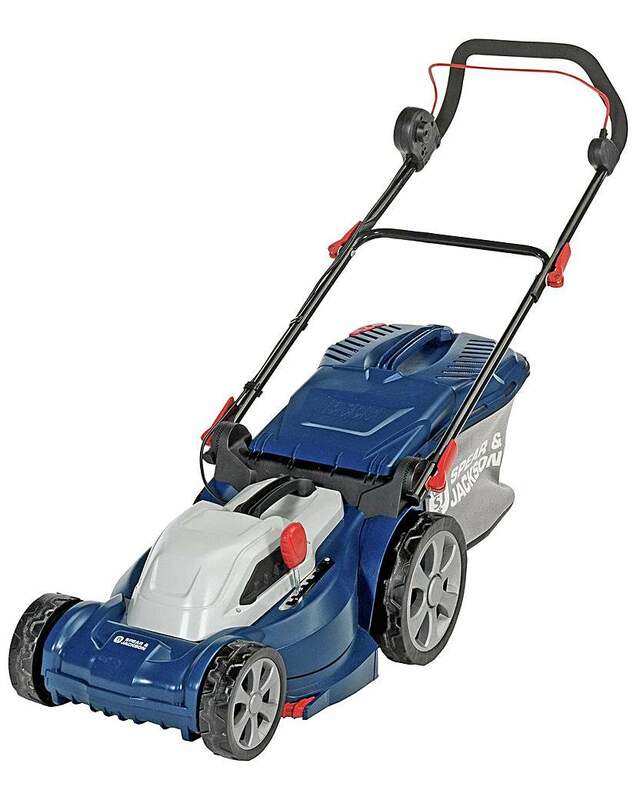 There are 7 cut heights on this mower, with a cut height range from 2.5cm to 7cm. A built in rear roller that helps you achieve a precise, professional striped finish on your lawn. With a 50L grass collection hybrid bag. The collection bag has a grass full indicator. Which will tell you when you need to stop and empty it. The soft grip, ergonomic power handle offers improved comfort and grip. 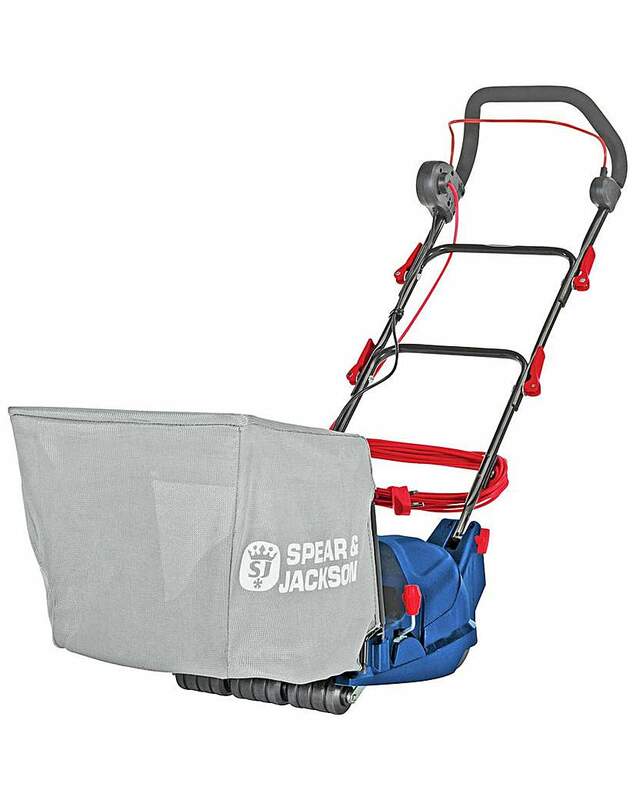 For extra peace of mind Spear & Jackson offer a 3 year guarantee on all Garden Power products. Extra long 12m power cable – reduces the need for an extension cable. Model number: S1740ER. 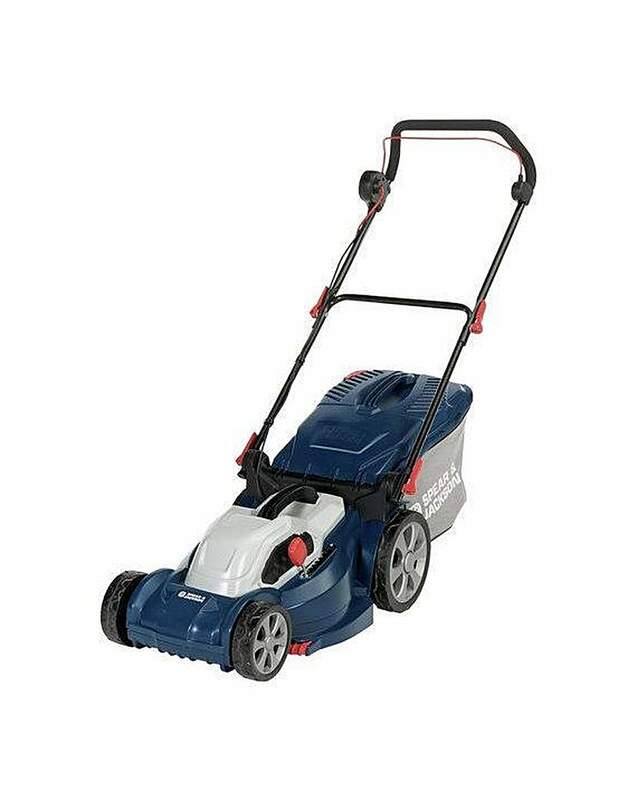 Lawnmower features: 1700 watt electric rotary motor. Metal blade. 40cm blade width. 7 cutting heights.